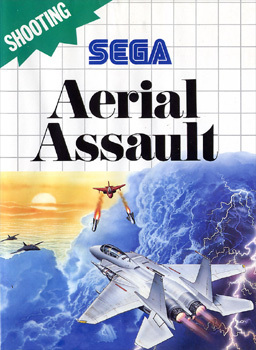 The US version of the game has strikingly different box art, meant to be purposefully more flashy. 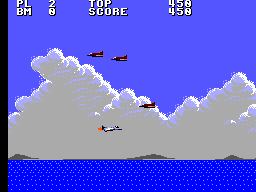 The original version, found in Europe and Brazil, features a simple image of an F-15 flying towards an enemy plane firing missiles. 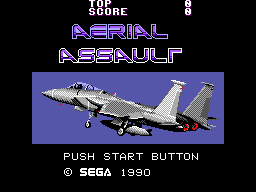 The text on the PAL version is much larger and bolder. "The N.A.C, a terrorist organisation, has built a laser emitter- "EL"- that is causing panic, as it is capable of destroying the ozone layer. 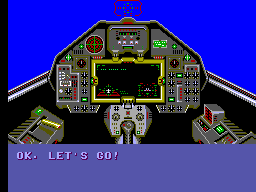 We need you to pilot the freedom fighter, and advanced fighter that may be the only means to crush the enemy!"